So I am on a bit of a muffin kick these days. 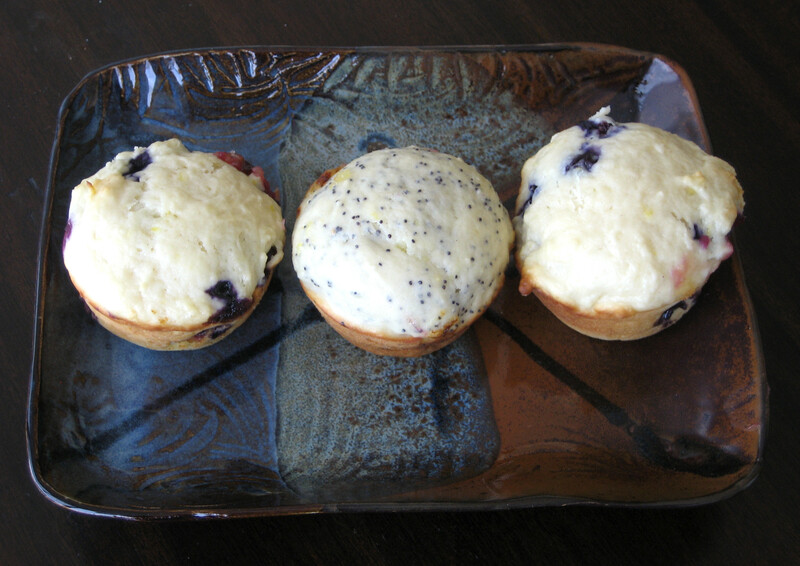 I actually have a new set of muffins baking in the oven as I write this post. 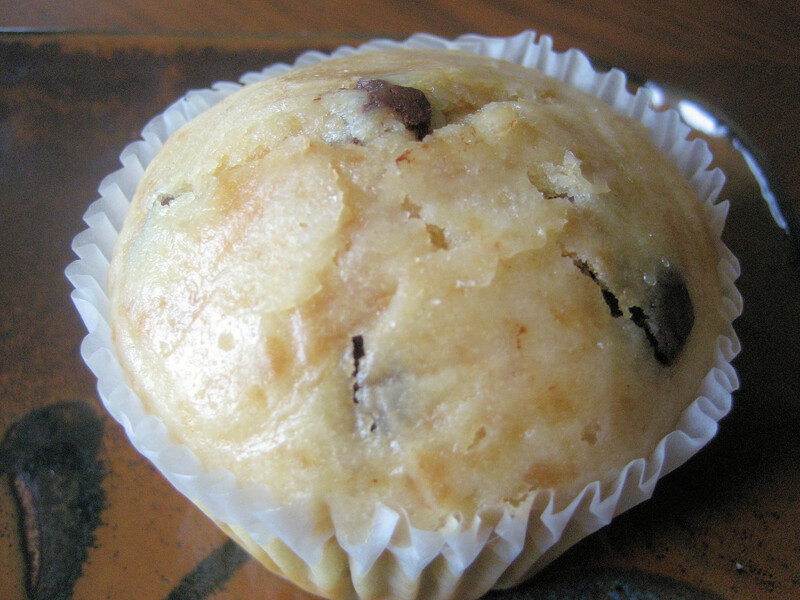 In my mind, a muffin is a great treat from breakfast all the way to a midnight snack and anywhere in between. I myself am a mid-morning snack muffin girl. I recently borrowed my Mum’s Muffin Mania cookbook with the intention of trying out a few new recipes. Muffin Mania, in my mind, is the classic muffin book. Recently, a number of my friends and I have discovered that our mums all use their banana muffin recipe! Also, I have a feeling there will be some muffin baking required for the wedding so I am trying to taste test a few recipes! I was drawn to this recipe because I had previously made a batch of peanut butter muffins that didn’t win me over. Thankfully, Muffin Mania pulled through! 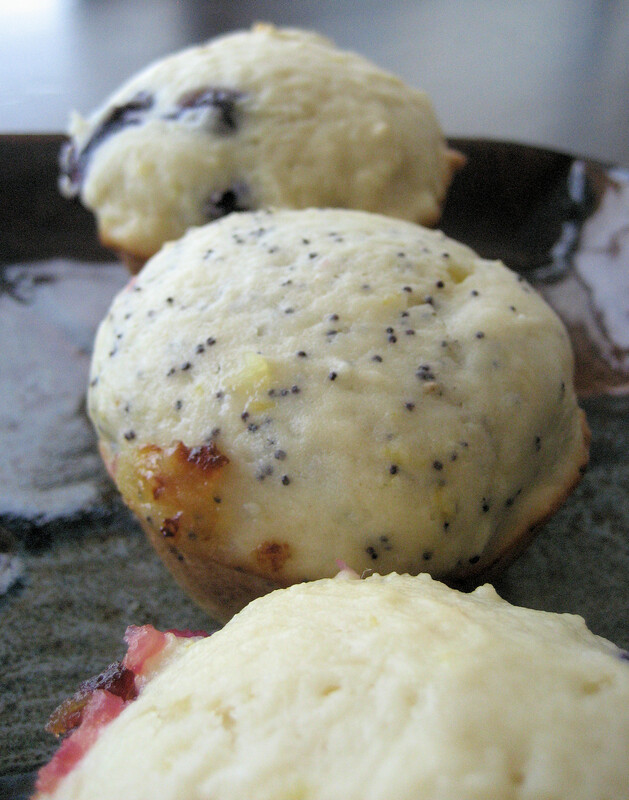 These are a tasty little muffin and something I would make again. The original recipe didn’t call for chocolate chips, but if you have read our blog for a while, you know we love to add chocolate where possible! Mix dry ingredients and cut in peanut butter and butter until mixture is crumbly. Add eggs, milk and chocolate chips and stir until moistened. Options: sprinkle muffins before baking with mixture of chopped peanuts and sugar or after baking, brush tops with melted jelly and dip in chopped peanuts. Hey, it’s me Caroline. Have you been wondering where I am? Claire has been holding down the fort here while my life has been a little topsy-turvey. December was a wild month for me. I finished one job, packed my apartment, moved to a new city, started a new job and wrote a 20ish page term paper. Needless to say, I didn’t have a lot of time for baking and blogging. Now that doesn’t mean I didn’t bake, but when I did, I didn’t manage to take photos. So many thanks to Claire, who has been busy herself planning a wedding, for looking after our little piece of cyber-space. I actually baked a rewind in November, knowing that things would be crazy in December, but it got eaten before I had a chance to take a photo. My bad. This one almost was a miss too, as I left my camera in Toronto, forgotten in all the Christmas festivities. So I snapped a photo with my cell phone. Obviously, it isn’t stellar but what can you do. 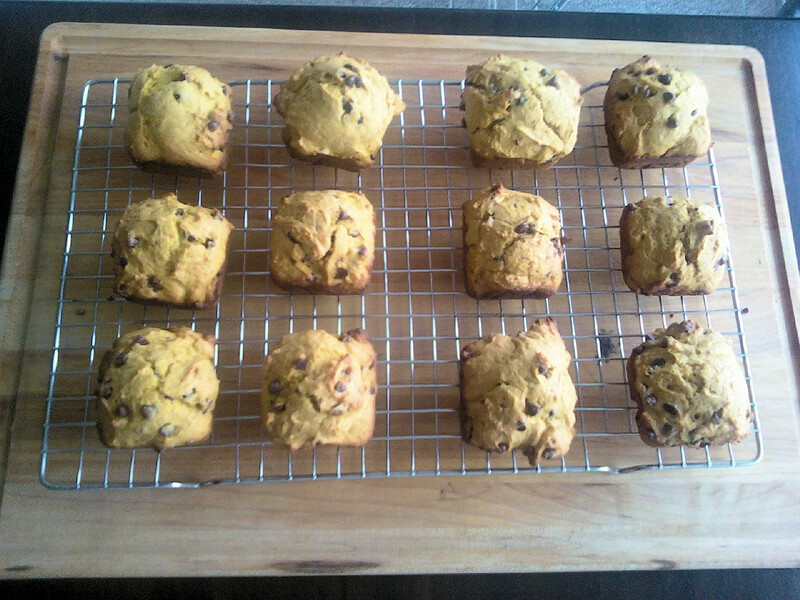 These pumpkin muffins were delicious. I, of course, used chocolate chips instead of raisins. For the recipe head on over here where Kelly made a great pick! I hope to be back in the baking game in the New Year (which I MUST share as I have a bridesmaid to fit into in a few short months!) Hope you all have a wonderful NYE! I love these muffins. That’s pretty much all I have to say. I whipped these up tonight and have packed them up for S. to take home. He taste tested them and gave them a thumbs up. I asked for more descriptions but he couldn’t come up with any winning quotes so you will just have to take my word on them. Thanks to Natalie of Oven Love for such a great pick! Be sure to head on over to her blog for the recipe. PS I went back to work today after a nice summer break. We should be posting a little more regularly around here now that I am home. All I have baked all summer are crisps. But really what more do you need in the summer but fruit, sugar and an oat mixture? These are my favourite muffins. My mum has been making this recipe for as long as I can remember and they are definitely a family favourite. I have made them countless times but most recently I made them for my mum when she had a number of guests stay for the weekend. Sometimes I add chocolate chips for a little something extra but this time I stuck to the basic recipe. 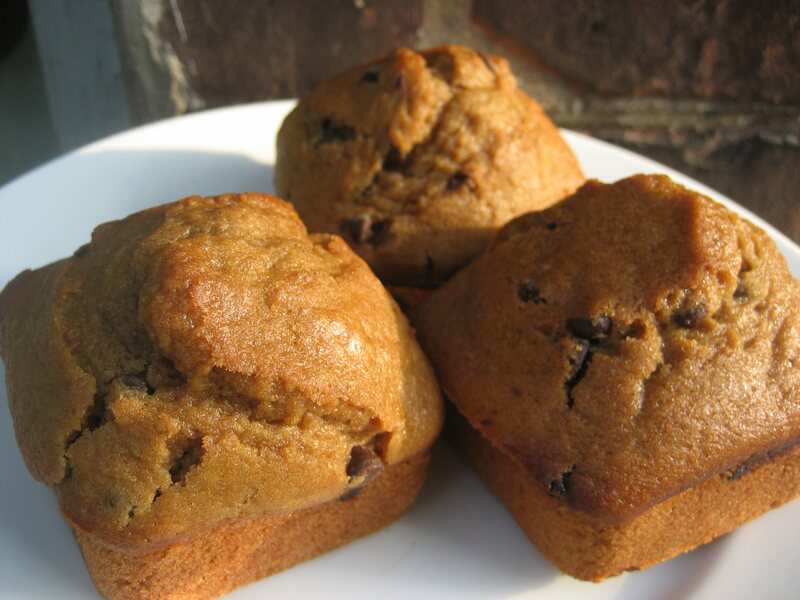 Caroline made them this weekend to welcome an old friend to the city; there is nothing homier than banana muffins. Over the years I have looked for a copy of the book this recipe comes from. But it was out of print and so I have always been very jealous of my mum’s copy. So tonight as I was writing this post I typed it into google just to make sure I got the credits right for the book and guess what!? Muffin Mania is back in print! Check it out. Clearly it was fate that I made this recipe tonight and have oodles of time for searching the internet. I’m going to have to order a copy! Mash bananas. Add sugar and slightly beaten egg. Add the melted butter. Add the dry ingredients and bake at 375 degrees F for about 20 minutes. 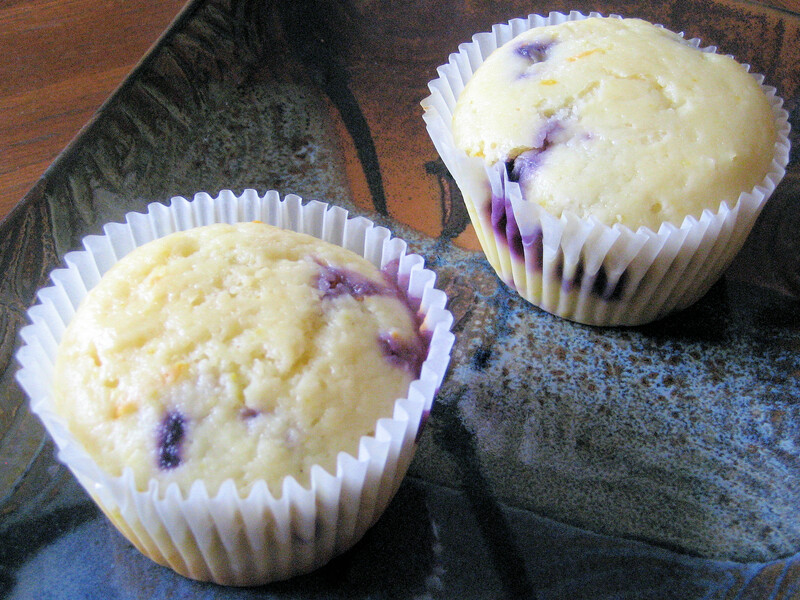 The best part about making these was that I got to try out my new square muffin tin. I got it in the summer (such as it was here in Ontario) but never got around to using it. Square is the new round in my books. Combine first 8 ingredients. Mix together and then make a well in the middle. Then in another bowl, whisk egg. Add in sugar, butter, pumpkin and milk and mix well. Pour into the flour. Mix until blended, don’t over-stir. Bake at 400 for 15-20 minutes. Let stand for five minutes then remove from pan. Serve warm or not. Remember when I made those September resolutions? I was supposed to be done my baking before Tuesday. Well, I have to confess to a September Resolution fail. This past weekend was Thanksgiving and I fully intended to bake these at my parent’s house, with Claire. But not all good intentions come to fruition and this was one of them. So then I decided I was going to bake them yesterday. However, Toronto grocery stores are not open on Thanksgiving and my local Shoppers Drug Mart didn’t quite have all the ingredients I needed. Thus, I hastily made these tonight. Please forgive the crappy photo. 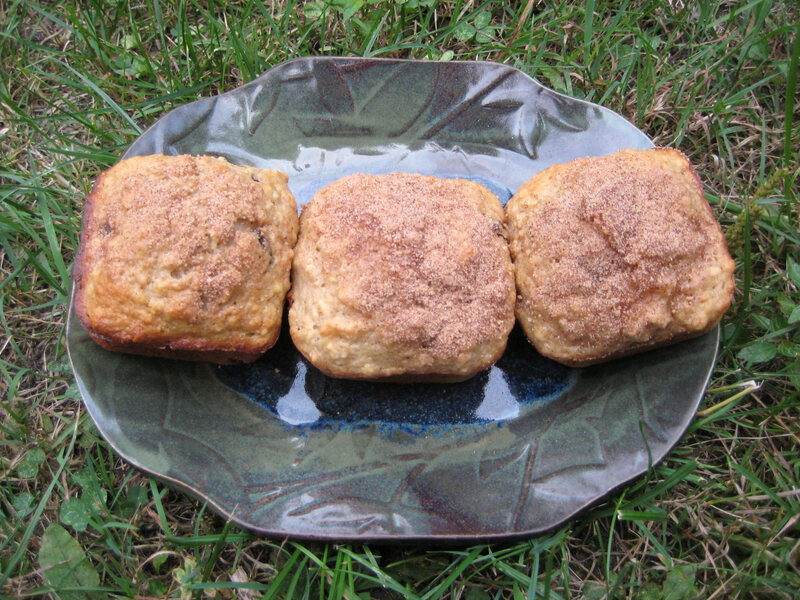 Thanks to Katye of Grandma’s Kitchen Table for picking this week’s recipe. 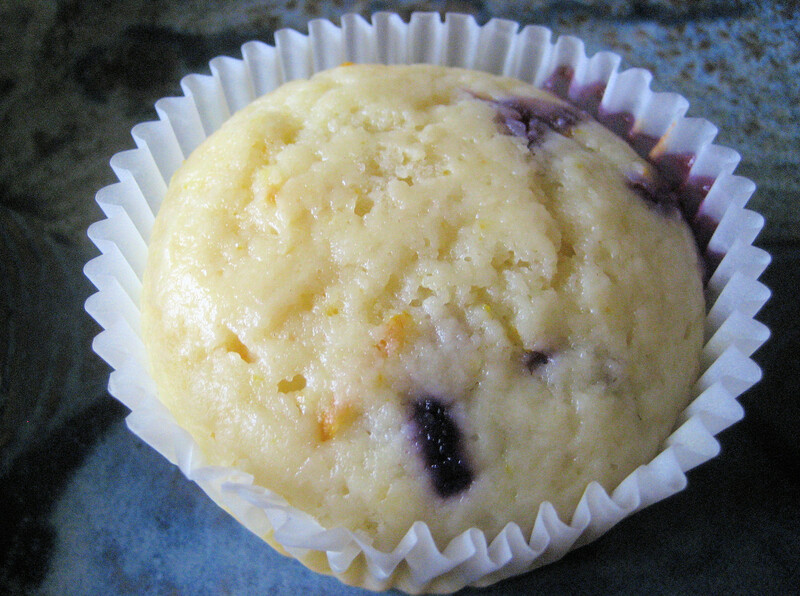 It was great to have a recipe that didn’t require special indgredients and I have to say I love muffins. Katye must be extra excited because Dorie posted about TWD today too! Since I was a little late on the baking I haven’t actually tried the muffins, I am being very obedient as Dorie recommends that you wait until they cool but they look great and the strusel is delish!